Great facility and amazing service. Most secure of the other storage facilities in the area. This was the easiest, cleanest, most suitable, secure and professional service I’ve received in a long time. Brian and Vicki are quick, friendly and accommodating. I called up for a quote and received confirmation right after the call. Once I rang back accepting the quote, Vicki left notes for Brian for when I came in. My shed was organised in less than 10 minutes and Brian showed me all the features. They have trolleys and even a trailer you can use. Amazing. Seamless. Cost effective. Loved this experience. We have just completed a four month lease with Coast to Coast Storage and found the contents of our storage unit to be in pristine condition. 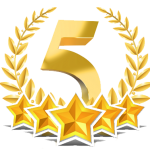 Brian and Vicki were extremely friendly and helpful and we would have no hesitation in recommending Coast to Coast Storage. Thank you Coast to Coast Storage for making this part of my house moving a positive experience. It was a combination of being able to choose the perfect storage size, cleanliness of the whole facility and the friendly ongoing service by Brian and Vicki who looked after my needs. A fantastic self storage facility with brand new, clean and modern storage units. They also sell boxes and other moving supplies which is great. The owners are absolutely wonderful – very kind, polite and an absolute pleasure to deal with. Highly recommended! Such a handy position, we are so happy with ours! I never expected to have such a great experience with a storage company. Vicky and Brian are genuinely lovely people who are a pleasure to deal with and have been super helpful throughout our moving process. The storage facilities are spotless, well-lit, very secure and easy to access. The prices are also very, very competitive. I’d give them more stars if I could. Brian and Vicky went way above and beyond for us during our move into storage. I have dealt with many storage facilities in my time, but never have I witnessed service of this level. Furthermore the vibes were very positive. Great business. I would recommend to ALL!